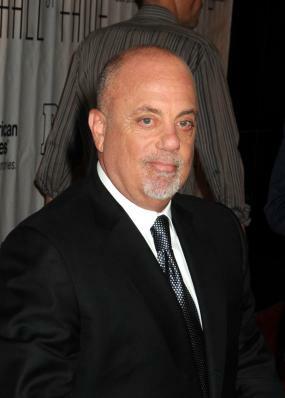 Billy Joel song titles include hit tracks from three decades and counting. With 13 albums to date, the list of Billy Joel song titles is also a long one. Born William Martin Joel on May 9, 1949 in the Bronx borough of New York City, Joel grew up on nearby Long Island. Joel's mother forced him to take piano lessons when he was young, as his father was a classically trained pianist and wanted Joel to take up the instrument. At first, Joel resisted, but after seeing The Beatles perform on The Ed Sullivan Show, he decided music was actually his calling. He threw himself into his piano, despite the fact that it made him the target of neighborhood bullies. The bullies actually believed that Joel was studying ballet, since his piano teacher was also a ballet instructor. Joel took up boxing as a way of quieting his tormentors and had some success on the local boxing circuit until quitting after breaking his nose in a match. By the age of 12, Joel was playing in local Long Island bands, and when he was in high school, he was repeatedly missing school because he was staying out late to play shows. He didn't graduate high school because he overslept on the morning of his final English exam after playing a show the night before. Joel told his parents that it was Columbia Records, not Columbia University, that he wanted to be a part of. Eventually, however, Joel was awarded his high school diploma. In the early 1970s, Joel signed an extremely questionable record deal with Family Production Records. They released his first album, Cold Springs Harbor, in 1971, however, the album was mastered at the wrong speed and all of the copies shipped like that, so it was a virtual flop. The vast majority of the money from the sales he did make was retained by Family Production. By the time Joel managed to sever his deal with them - when Columbia Records bought them out - he still had to run their logo on all of his releases for ten albums and pay them 25 cents per sale. During this time, the quintessential New York musician moved to Los Angeles. He stayed there for three years and worked briefly as a piano player in a bar - the inspiration for his hit Piano Man. He eventually grew tired of the music scene in LA and moved back to New York, the city that would become the backdrop to many of his greatest hits. In the mid-90s, Joel announced that he was "retiring" from recording music to focus exclusively on touring. Although he has occasionally dipped his toes back into recording over the years, he has become, for the most part, a touring act. In the mid 2000s, Joel took a brief hiatus from touring, but in the late 2000s, he jumped back in and began touring extensively. Joel has been married three times. His first wife was Elizabeth Weber Small, who also acted as his manager during their marriage. Small was previously married to one of Joel's bandmates. His second marriage was to model Christie Brinkley, who he met on the set of his Uptown Girl music video. Joel's third wife was Katie Lee, who was 23 years his junior at the time of their wedding. They divorced in 2009. One thing that sets a list of Billy Joel song titles apart from lists of other musicians' songs is that Joel has written all of his own material. He was inducted into the Songwriters' Hall of Fame in 1992. The songs listed below are Joel's singles and among his best known songs. To see the entire Billy Joel discography, check his website.